A move to Lakewood Ranch is in the works, but the veteran group's 89th season commences here in September. The current--and long-term--Players Centre for Performing Arts building. 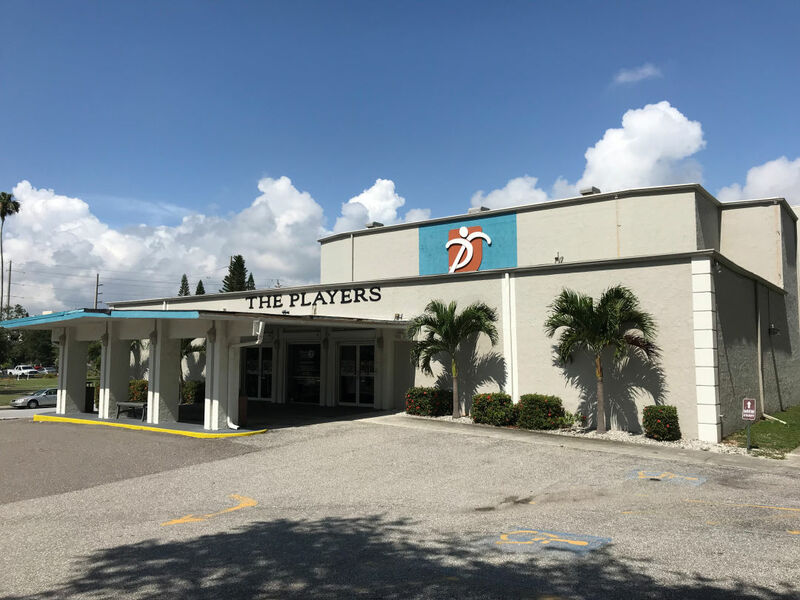 For years I (and thousands of other playgoers) have headed to the theater building at 838 N. Tamiami Trail (above), known casually as The Players, for the productions of Broadway musicals, comedies and dramas that have filled the stage there. After the 2018-19 season, that will come to an end. In the meantime, the group has already announced its 89th and final season in the Tamiami Trail theater. (It’s also looking for temporary sites to host next season’s shows.) It’s a line-up that brings six shows to the mainstage, most of them new to The Players. The season opens Sept. 20-Oct. 7 with the perennial Irving Berlin hit Annie Get Your Gun, about that female sharpshooter determined to get her man. That’s followed by a newcomer to the Players stage, Christopher Durang’s comedic Vanya and Sonia and Masha and Spike, a very modern look at family relationships prompted by the works of Chekhov. That production will run Oct. 25-Nov. 11. Love the songs of Elvis Presley? You’ll find what you’re seeking with All Shook Up, a musical about what happens in a small town when a rocking rebel shows up. It plays Dec. 6-23. The popular musical adaptation of John Waters’ Hairspray, about teenager Tracy Turnblad and her hopes and dreams in 1960s Baltimore, runs Jan. 17-Feb. 3, 2019. And The 25th Annual Putnam County Spelling Bee, running Feb. 21-March 10, tells the musical tale of six seeming misfits competing in a middle school regional spelling bee. Officially, the season closes with Stephen Sondheim’s Follies, a musical set during the last days of an old theater—a fitting choice for the Players and a touching one. That runs March 28 through April 14. But there will be a post-season show, presented in partnership with the Two Chairs Theatre Company, April 25-May 5. That one is an Arthur Miller classic, TBA; it could be Death of a Salesman, A View from the Bridge, or All My Sons. To purchase tickets for the 89th season, call 365-2494 or visit theplayers.org.